Dragon Heresy: Layout takes shape . . . Starting to get layout chapters. Here’s the introduction. Tweaks are still being made, but this is starting to look like a real book. 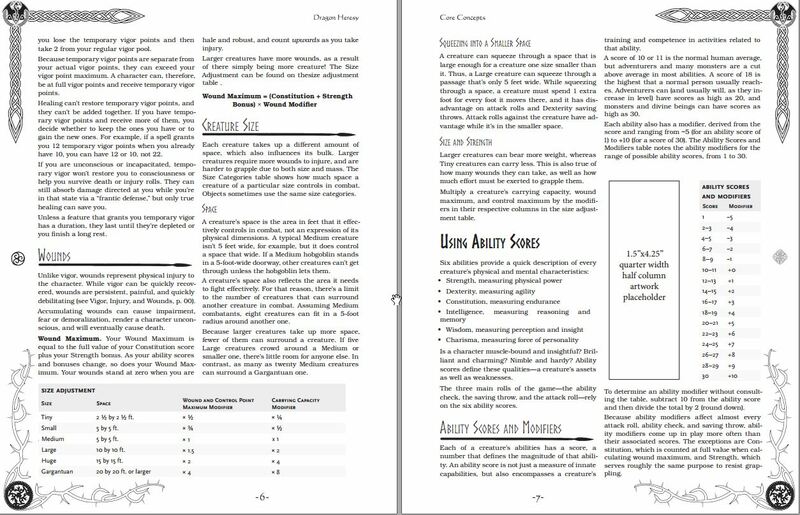 The Core Concepts chapter has tables and more box-text, and it looks very, very good to me. 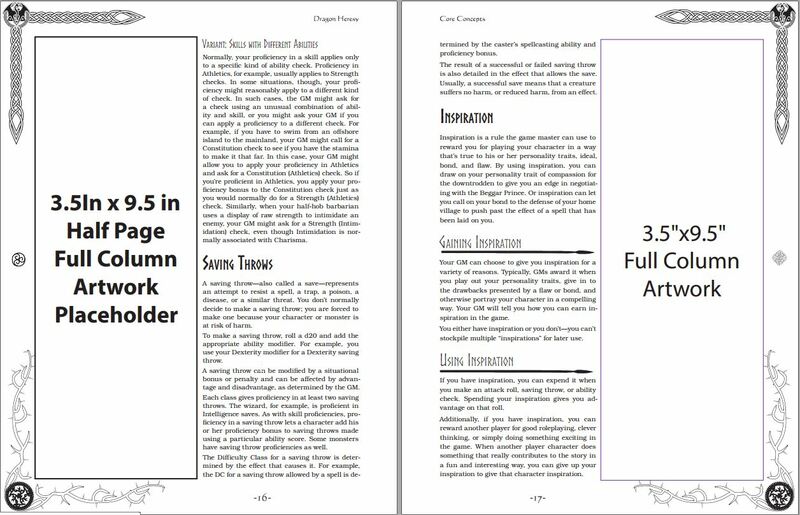 And another showing two full-column pieces of artwork placeholder. I’m tempted to ask for one illustration that will be split in half, bracketing the text with a complete picture like bookends. Looks pretty good! I'm a bit surprised the layout comes across as a bit more Celt than Norse, but it still looks good. If you can point me to Norse designs rather than Celtic, that are obviously and distinctly Norse/Viking, I'm all for it. The two seem basically indistinguishable to me, though I'm sure an expert would vehemently disagree. Yeah, it's probably not worth getting super sticky on. The lettering, though, I am somewhat surprised they're not more rune-like. This is probably more pleasing to the eye, though!